American merchant and financier Erastus Corning was an early leader in the development of railroads in New York State and the first president of the New York Central Railroad. He became anotable political figure in the Democratic party. Erastus Corning was born on Dec. 14, 1794, in Norwich, Conn. He was an all-round entrepreneur; at one time or another and frequently simultaneously he was a merchant, iron manufacturer, railroad contractor, railroad president, banker, land speculator, and politician. Each phase of his multifaceted career connected with and strengthened the others. Corning was among those who early recognized the economic growth possibilities inherent in the new railroad. He was already a prominent businessman when he helped organize the Utica and Schenectady Line in 1833. As president, he was paid no salary; instead he sold it iron and steel products. The multiplicity of railroads between Albany and Buffalo, N.Y., reduced efficiency so that it soon became apparent that a new, longer, and continuous railroad joining these two cities was desirable. A convention was held by the various railroads concerned, and the enabling consolidation act was passed by New York State in 1853. 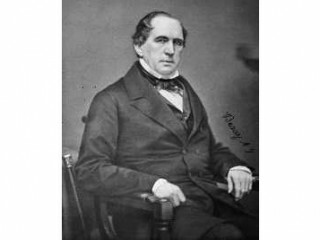 Corning was a primary actor in the negotiations which eventuated in the formation of the New York Central Railroad and was chosen the first president. He held that post until he resigned in 1864 for reasons of poor health but remained a director until 1867, when Commodore Cornelius Vanderbilt secured control of the railroad. Corning was also a member of the board of directors of several other major railroads, such as the Chicago, Burlington and Quincy. Corning pioneered in the practice of making favorable contracts between his own companies, with himself as merchant and manufacturer selling supplies to his railroads; this form of business activity was highly profitable. The relation between Corning and the New York Central, similar to that he had enjoyed with the Utica and Schenectady, finally resulted in an investigation by a stockholders' committee. Even though the committee was composed of his friends, the report criticized Corning. Although the report noted that buying from stockholders was not recommended, the Central continued to buy from Corning. In 1863 the New York newspapers criticized Corning's conflict of interest. Corning had a reasonably distinguished political life. He supported Andrew Jackson and was elected mayor of Albany, state senator, and member of the House of Representatives as part of the Democratic Albany Regency. Despite his public offices, Corning's political influence came largely behind the scenes. He participated in the peace conference in 1861 in Washington, which was one of several last-ditch efforts to avert the Civil War. Though he had been an antiwar Democrat, he managed to make money in the iron business during the Civil War. Corning's manifold business activities made him a millionaire. The town of Corning, N.Y., exemplifies his successful land speculation. He had provided the New York Central with superior executive leadership. He made early use of the Bessemer steel process, introducing it in 1865. Entrusting his associates with routine matters, he left himself free to expand in the entrepreneurial role. He died on April 9, 1872, in Albany. View the full website biography of Erastus Corning.